Trevor – I love Pixar. But doesn’t this one just feel a little bit like pandering? The first entire half of the trailer is stuff we already know and love. There is a small chuckle at the end with Anger, but mostly I didn’t have any real feelings about this. Well, I guess besides just putting depressed people in the limelight. Pixar has such a great track record, I would be surprised if this one turned out awful, but I didn’t see a lot to love in this trailer. Tim – Once again, Trevor proves that he has the hearty of a crusty old pirate. To be fair to this trailer, it’s technically a teaser. But I thought that showing all of those heartfelt moments from the other Pixar movies paid off when it was revealed that the new movie was about emotions. 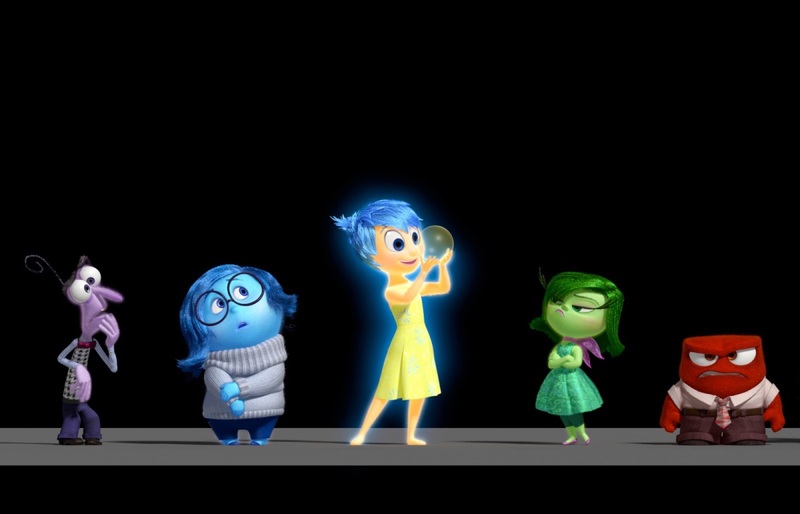 Pixar is all about emotion! I fully trust that Pixar knows what they’re doing and that this movie will be great. The characters are painted in pretty broad strokes for this teaser, but you know there’s going to be depth to this story. I can’t wait. Tim – This trailer is more tense than most complete movies are. I think that Bradley Cooper has become a fine actor, and that Clint Eastwood makes good choices. So I feel that there’s a reason that this story is being told. Even if it ends up being that a lot of the movie ends up taking place post-war, I’m ok with that because I feel that there’s a reason for this film. There’s a compelling story waiting to be told; it will be interesting to see when that story takes place. But I will definitely see this one. It gave me heart palpitations, but I wanted more. Trevor – I had no idea this was on the horizon and I cannot wait. Wow. For a Comic Con attendee, I can’t imagine a more fascinating show to watch. Talk about amazing creators, Joss Whedon, JJ Abrams, Bill Prady… and the list keeps going. This looks fantastic and I’m going to try my hardest to drag my wife to this opening night. Tim – I agree that this movie is like a Comic Con geeks dream. I’m so excited to see this. I pray at the altar of J.J. Abrams, Damon Lindelof, and Joss Whedon, but there are so many other talented showrunners in this documentary. AND I’m interested in the industry itself. So this is a must see. I doubt we’ll be running out to theaters, though. In our little neck of the woods, I’ll be this is something we only get digitally. I’d be surprise (but supremely excited) if it hit theaters in Utah.